Many of us are extremely familiar with having old, dingy-looking appliances. For years, I rented older apartments that had those dated white fridges and stoves. It always seemed like no matter how hard I tried to scrub them clean, they still looked dirty. And having dirty and dull appliances can make your entire space seem unsightly. 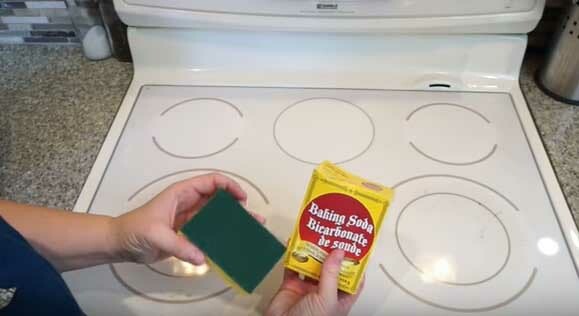 ClutterBug reveals that she keeps her white electric stovetop looking clean with baking soda. All she does is sprinkle it onto the stove’s surface before gently scrubbing with a damp sponge. ClutterBug says that she uses an old toothbrush to really scrub out the grime in her appliance’s nooks and crannies. 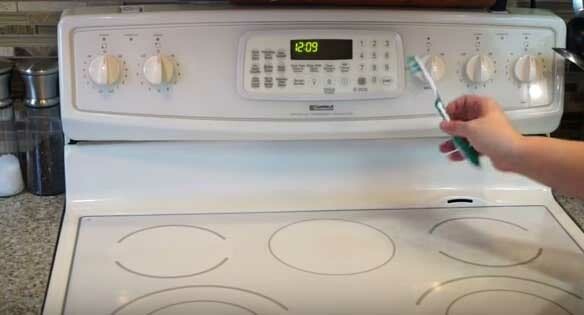 Use the old toothbrush to scrub between your stove’s control knobs, door, fridge seals, and the parts of your microwave. 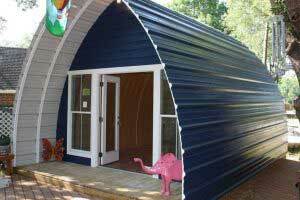 ClutterBug explains that anything made from moulded plastic really absorbs dirt and stains. 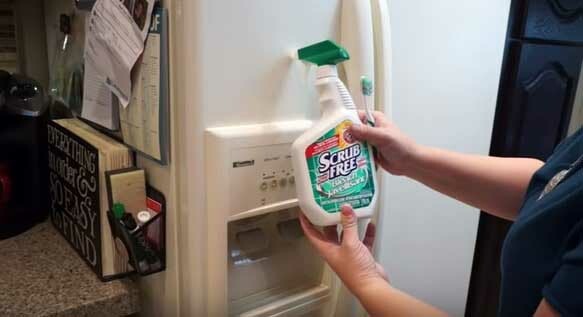 She uses a bleach spray to scrub down her moulded plastic fridge parts before rinsing them extremely well. It may sound odd, but ClutterBug uses Pledge (a wood polishing spray) once a month on her appliances. She says that it not only prevents them from getting dirty in the first place, but it also leaves them looking super shiny. 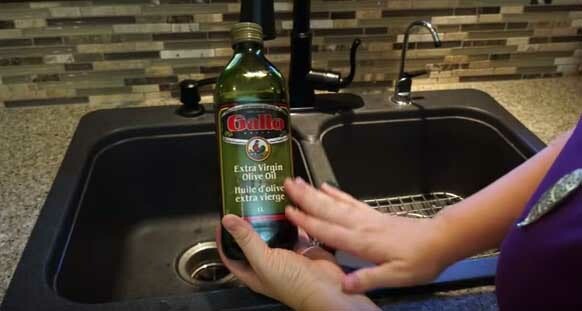 ClutterBug uses extra virgin olive oil to wipe down her sink every six months or so. She says the olive oil will get rid of limescale, soap scum, water stains, and other gunky residue. 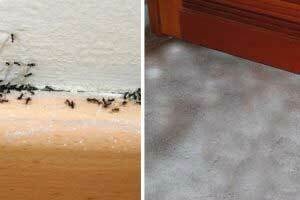 Once your cabinets are dust-free and clean, ClutterBug suggests applying an extremely thin layer of wax to them. Use a soft cloth to work the wax into the cabinets, let it sit for a few minutes, then use another soft cloth to buff them. 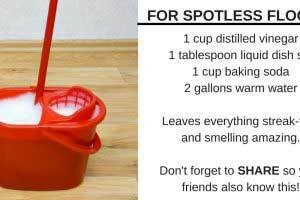 This will make your cabinets shiny and repel dust and food particles. 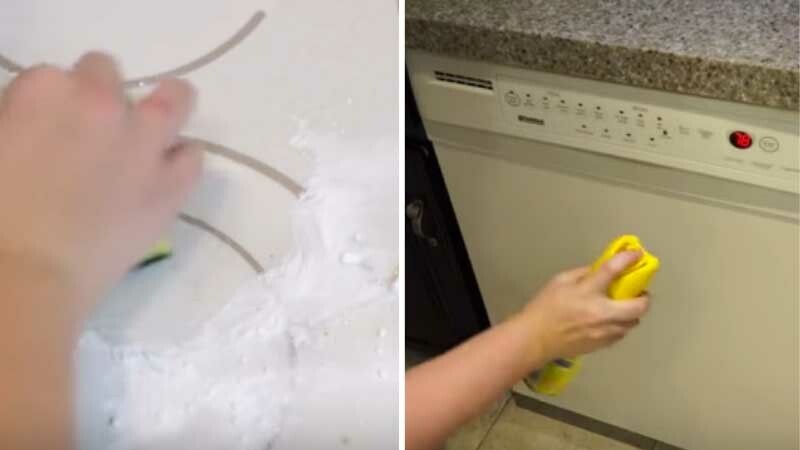 To see these genius cleaning hacks in action, check out the video below!